The spokesman of Buhari Campaign Organisation, Mr. Festus Keyamo, SAN, has boasted that since 1960 when Nigerian gained independence, no government has touched the lives of the poor like that of President Muhammadu Buhari. Keyamo made this known at the inauguration of Buhari/Osinbajo Project 2019 in Ilorin, Kwara State. Keyamo, who delivered a lecture on the occasion, said the previous administrations established the worst system of government, based on sharing formula of the nation’s treasury. He said Buhari has done was to take the bullet from the rich to protect the poor. “They operated a system that ignored physical infrastructure in the country, that ignored the plight of the poor, the weak and the vulnerable in Nigeria,” he said. “If you compare what accrued to the country in 16 years and what were done with the money earned in three years and infrastructure built by Buhari, you will see the difference. “In 16 years, all they did in the South East was Onisha-Owerri road, whereas in three years, President Buhari is doing four major road construction in the region. “These social intervention programmes show that Buhari’s government is touching the lives of the poor than the rich,” he said. According to him, before Buhari came on board, over 24 state governments were unable to pay salaries of their workers. He said the administration, with prudent management of resources, approved bailout funds to the states to clear the arrears and address their critical challenges. 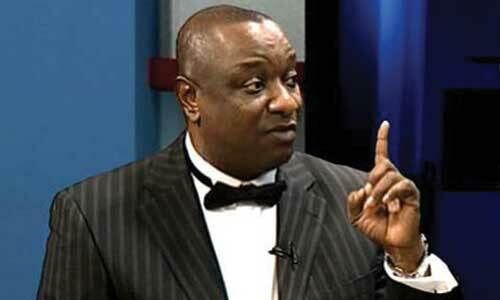 “We should not go back to that era of nonpayment of salary and suffering of the masses,” Keyamo added. He also called on the people of Kwara that the time has come to free themselves from “slavery, from oppression and subjugation”. When Festus goes home and in his sober time reviews his statements, I believe he would wish he had taken a different approach. This line of argument seems sour.